In February 2005, a group of internet friends decided to pool their knowledge and passion for horses to create a new rescue. Their goal? To help horses, especially those from neglect or abuse cases, throughout Texas and Arkansas. The group started out small: about 30-40 volunteers took in 64 horses that first year. About half the horses came from neglect cases, while the other half were donated by owners who could no longer keep them. Gulliver when he arrived at BEHS. The organization’s founders agree that the first year of the rescue was crazy; They were taking in horses, deciding policies and procedures, creating forms and fundraising events, and figuring out how to work together. Since they were all spread out, they relied on email lists – and dozens of emails, sometimes even a hundred or more, flew back and forth each day. After that first year, the group found its rhythm. Once they policies were set, they only needed occasional refinement. The organization’s shift turned to recruiting new people, and helping more horses. 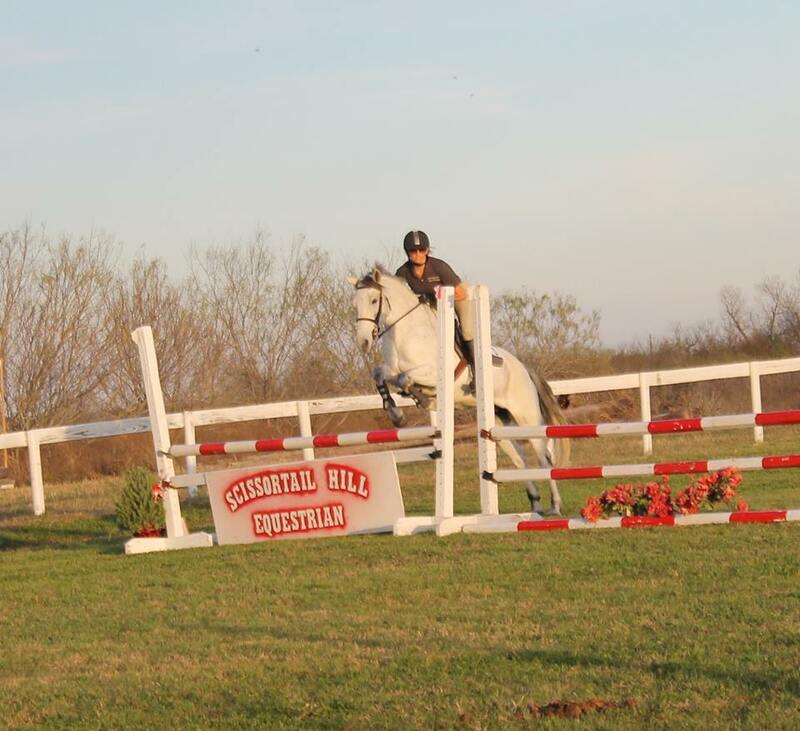 Bluebonnet created an annual event, the Bluebonnet Horse Expo, to help raise funds for the horses, educate horse owners on proper care and handling of horses, and to introduce adoptable horses to the public. The 2015 Bluebonnet Horse Expo raised about $30,000 in profits and helped find adopters for 34 horses – which made it a record-breaking year! The organization now boasts over 1,000 members, with about 40 foster homes who house horses and about 150 volunteers who give a minimum of one day per year (almost many give much more time). The organization houses all horses at foster homes, and they’ve taken in nearly 800 horses since they opened their doors. BEHS horse Napoleon with his adopter Hilary. Bluebonnet now operates only in Texas, and they focus on helping horses from law enforcement cases. 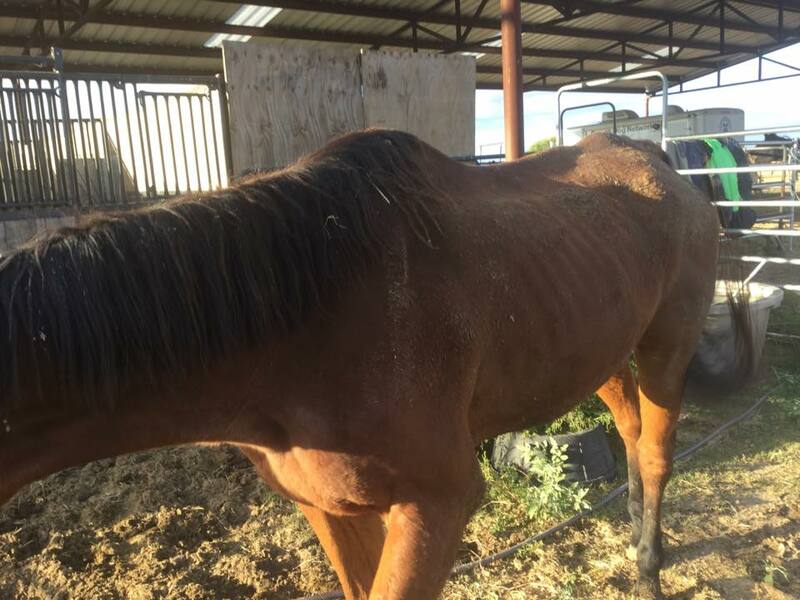 Most of the horses come from neglect cases, but a shocking number are found stray. 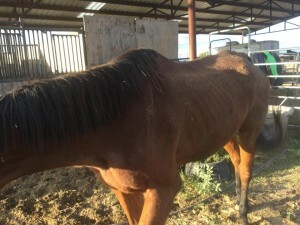 The rescue also occasionally receives horses who were found abandoned or physically abused. The organization has worked with over 65 law enforcement agencies to get help for needy horses, and help doesn’t always take the form you might think. 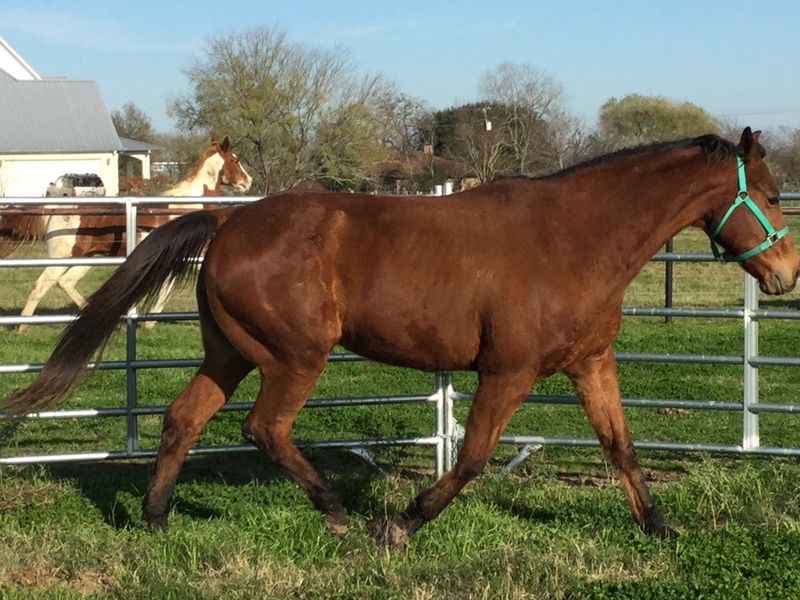 While Bluebonnet accepts many horses from these cases, they prefer to educate the owners when possible so that they can keep their horses and care for them themselves. That’s the best possible outcome, although not one the organization sees often enough. 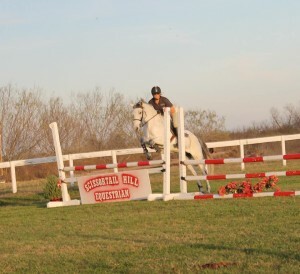 Unfortunately, rescue work is expensive and Bluebonnet always needs donations. Funds are used to help care for the horses, provide veterinary care, get the horses training so they can be more adoptable, and insure the horses are doing well with their foster homes and adopters. To learn more about Bluebonnet or to donate, visit their website at www.bluebonnetequine.org. You can also like their Facebook page or call them at (888) 542 5163.